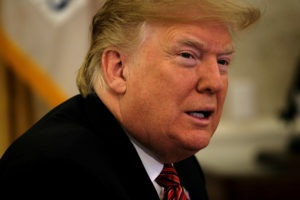 President Donald Trump says he’s “ready, willing and able” to negotiate an end to the partial government shutdown that has now stretched into its 10th day. Trump tells Fox News Channel in a year-end interview set to air Monday night that Democratic congressional leaders Chuck Schumer and Nancy Pelosi “can come over right now” and “could’ve come over anytime” to try to hash out a solution. Trump, however, is still insisting that any deal include billions of dollars to fund his long-stalled southern border wall. Democrats say that’s a no-go.